Natural taste of chlorine-free water ? Kettle and iron without scale, tea without film ? 1 liter of clean water per minute ? Easy connection in 15 min ? We remind you to replace the cartridges ? reasonable price, budget service and expendables. 3 steps of purification of running water. Water softening and chlorine removal. Filtration rate 1 liter per minute. Easy installation and replacement of cartridges. What are the features of the model? Triple filter Ecosoft Standard is an affordable solution for the effective purification of drinking water. Purifuing is carried out in 3 stages, for each of which a separate cartridge is provided as part of the filter. Water purified using Ecosoft Standard filter can be used for drinking, cooking, watering flowers, as well as for vaporization in household appliances (iron, steam boiler, air humidifier). Purified water does not lead to scale formation. The Ecosoft Standard flow filter consists of three flasks with replaceable cartridges. To remove the flasks before replacing the cartridges, you must use the key included in the montage kit. The filter is installed under the kitchen sink and is connected to the cold water pipeline. For purified water supply, there is a separate faucet mounted at the sink or kitchen worktop. During filtration the water sequentially passes through the 3 cartridges. Removes large impurities from water: grains of sand, rust. Material of the cartridge is foamed polypropylene. Softens water, removes chlorine, harmful organic and organochlorine substances, metals, phenols and petroleum products. The cartridge is filled with filter material Ecomiсs. Fine water purification. Activated coconut carbon cartridge. For whom is better suited? Triple filter Ecosoft Standard is designed for an apartment where a family of 3-4 people lives. The filter combines high quality and low cost of water treatment. Purified water can also be used for watering flowers. BPA FREE. Ecosoft triple filters are made from primary food material (polypropylene). In the production of these plastics, bisphenol is not used, and their composition is in accordance with the EU Directive "Items used for contact with food." Triple filter for water Ecosoft Standard is designed for the purification of only cold tap water. 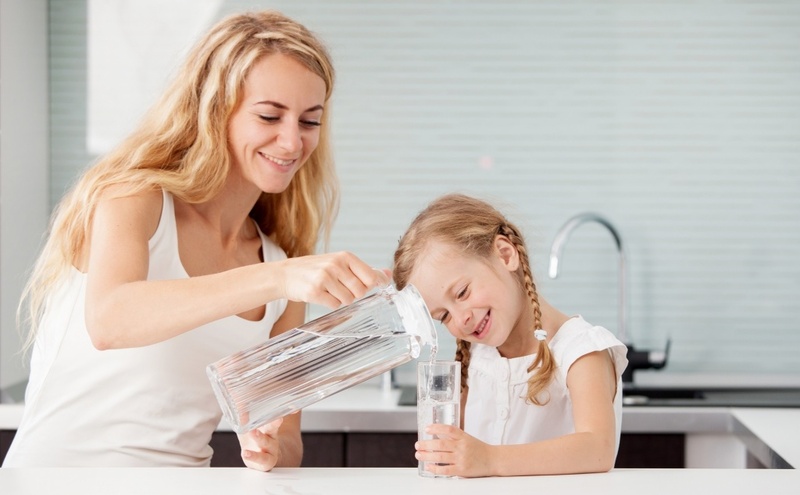 To obtain clean, high-quality drinking water, it is recommended to change the cartridges every 6 months, regardless of the volume of filtered water. In the case of prolonged interruptions in the filter operation (over 2 weeks), it is necessary to disinfect the filter (the procedure is described in detail in the manual). If you do not plan to use the filter for a long time, it is recommended to shut off the water supply to it. To replace the cartridges you need to use the housing wrenche for filter replacement, which is included in the filter instalation kit. ATTENTION! The service key is designed to unscrew the filter flasks. Spin the flask with your hands.